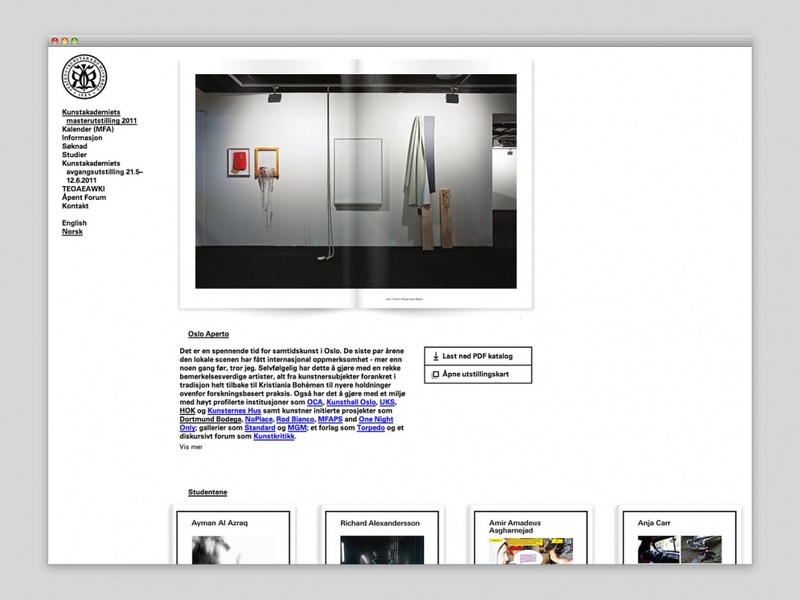 This website for Kunstakademiet (The Oslo Academy of Art) was developed in conjunction with the graduate exhibition of 2010. 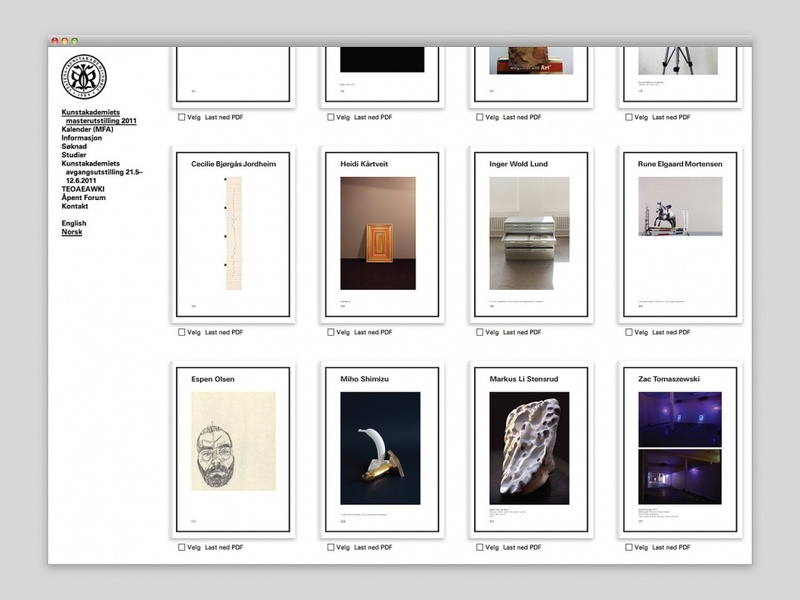 A major part of the task was to design a system for presenting the works by the graduating students. 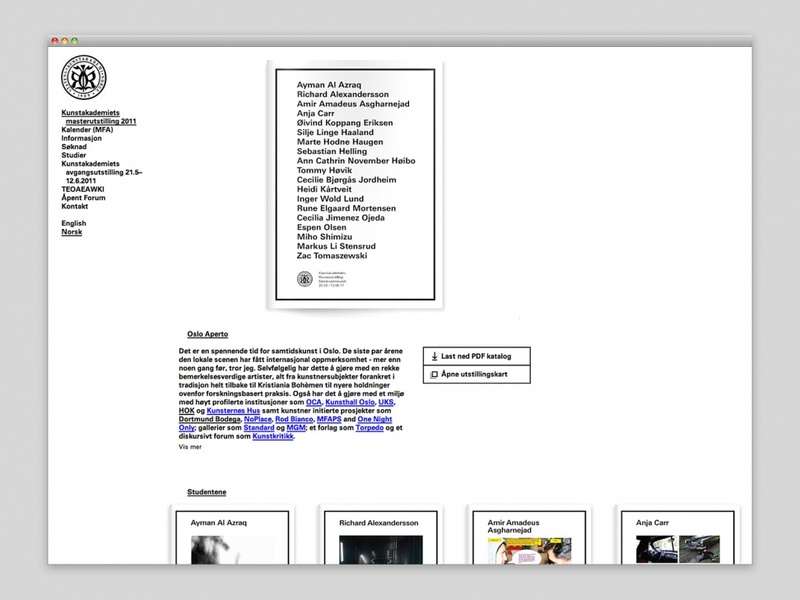 The site was made in collaboration with Marius Lundgaard.